Most people want their personal or professional space to reflect who they are and what they like. That isn’t always an easy goal to accomplish, what with the cost of materials and restrictions often placed on the occupants by the owners of a location. This probably accounts at least in part for the sudden spike in popularity of wall decals and customized wallpaper. These affordable, removable wall decorations are a great option for businesses who frequently change their signage, or as home decor for people who want a changeable atmosphere or who aren’t allowed to make permanent modifications to their residence. Just a few years ago the option to cover most or all of a wall with a custom mural would have required hiring an artist and essentially vacating the space for no small period of time. Now, with the availability of custom printed wallpaper, anyone can design and order their own unique mural, and have it applied just where they want it in no time. 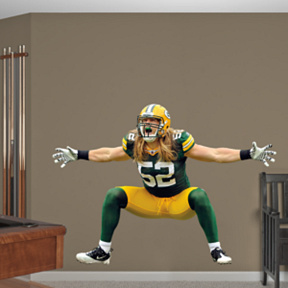 One of the areas where the popularity of wall decals has skyrocketed is among sports fans. Companies such as Fathead have made sports and team themed decals something of a specialty, and now you can show your pride in your favorite team using these stickers, which vary in size and style, without breaking the bank or permanently altering your home or office. Every parent knows how quickly children grow into and then out of their favorite things. These decals can allow your child’s room to grow up with them, from nursery all the way to dorm, without the cost and inconvenience of re-painting or changing wallpaper every few years. There are many companies that offer wall decals specially geared towards children and parents, like The Land of Nod. 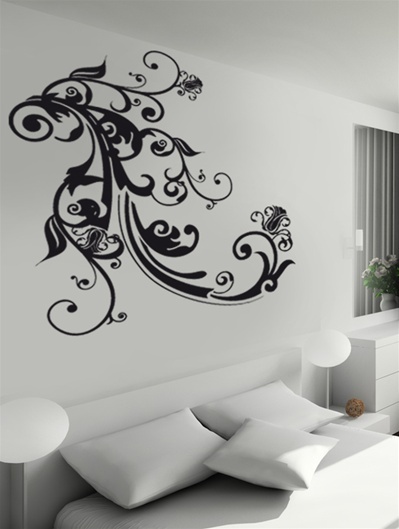 Most of the suppliers of wall decals offer a more general selection. Companies like AllPosters.com, DaliDecals and WallTat have a wide variety of decals and stickers, from abstract art to nature scenes to holiday decorations. You can find just about anything you want for your walls in a form that is removable and reuseable. With the complete customization available with these products, including the ability to turn your own photography into a full-size mural, and the fact that they can allow you to constantly rethink the atmosphere in a room, it is hardly any wonder that their popularity has skyrocketed in the last few years. Chris Garrett is a large format printing expert and freelance writer for the custom wallpaper expert Megaprint.com. He frequently blogs on the topics of design and printing. Wow, that’s amazing! I really thought that the second picture was not a wall decal, It’s very realistic. On the other hand It’s also great that now a days we can easily access to wall decals and we can do it by ourself. I have also been planning for a theme for my daughters room and i am soo excited for it. 🙂 Thank you for sharing this post! Thank you for your comment. I’m glad you found it useful. The possibilities are pretty endless, since you can actually custom order these products from companies like Megaprint.com. I hope you have fun on your project!